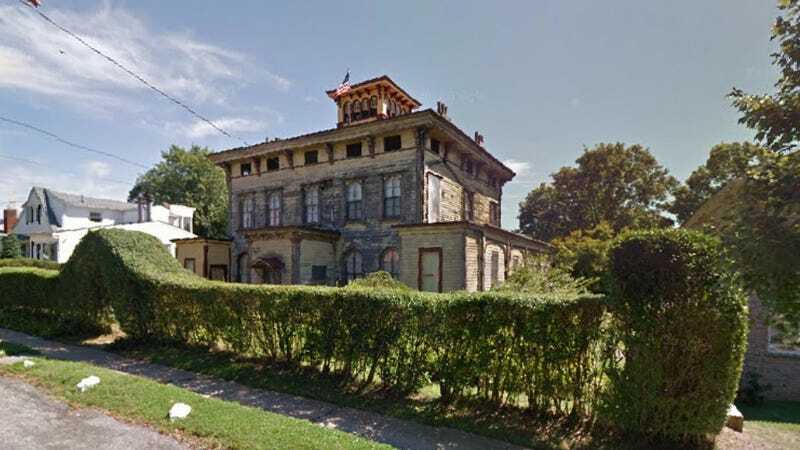 Start rooting around in the couch cushions because a grand mansion once owned by a nineteenth century cookie inventor is currently up for sale. He died in 1918, but his two daughters stayed there until beyond their 100th birthdays and never went outside. In fact, the Mayer girls, Paula and Emilie, never even walked down the stairs — holing up in just two bedrooms of the "Grey Gardens of Staten Island" for the better part of a century. They used an elaborate pulley system that brought in their groceries, mail and any other outside-world needs. Consequently, most of the home is gloriously free of tacky 70s-era renovations, so it's popular as a location for photo shoots. (OBVIOUSLY, Anthropologie has shot there.) However, there may be some tenants of the incorporeal variety—there are alleged rumors of hauntings. But of course neighbors have said that about every run-down house in human history and if that many places were really haunted, we would have long since proved the existence of ghosts. The current owner denies it: A source told the Post that, "The owner is super-touchy about people calling it haunted." The other catch: It's on Staten Island. Make we can make it a country retreat?